If you’re a massive fan of Michael Jackson, perhaps like me you avoided Thriller Live since the show began in January 2009 for fear of it not living up to expectations. Back then, it felt too soon after we’d lost him. Nobody can ever get close to the magic of the undisputed King of Pop, but since it’s (almost unbelievably) been 10 years since this song, dance and video spectacular launched in the West End, it finally feels like it’s time. Having not been to this show before I can only comment on this performance, which is the 10th anniversary special dedicated to Michael Jackson – the performer and the man. It’s a celebration of his creativity and humanitarian vision of peace, love and harmony. 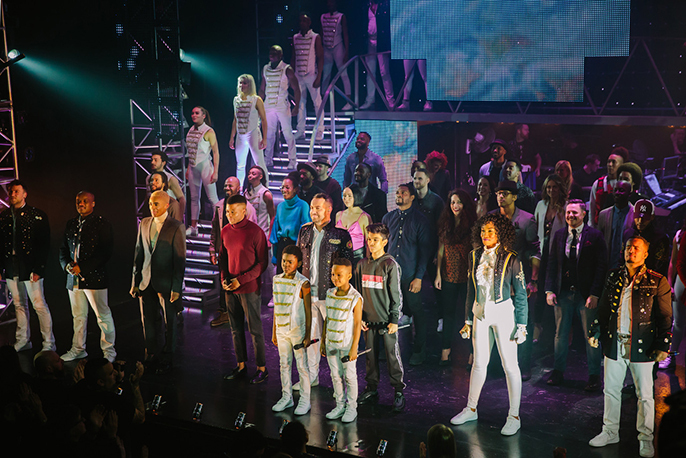 When I enter the Lyric, I don’t know what to expect, so when the show begins I inwardly groan, for it seems like it’s going to be a some sort of Michael Jackson karaoke celebration, albeit a shiny and fun one with excellent singing and a good standard of dancing. I decide then that, as a fan, I may as well enjoy it. And honestly, I’m living for the yellow-gold biker leather leotard over the yellow-gold leggings ensemble worn by the captivating Vivienne Ekwulugo who makes her West End debut in the show. This outfit, by costume design team Shooting Flowers, sparkles as much as Vivienne’s vocal performance. 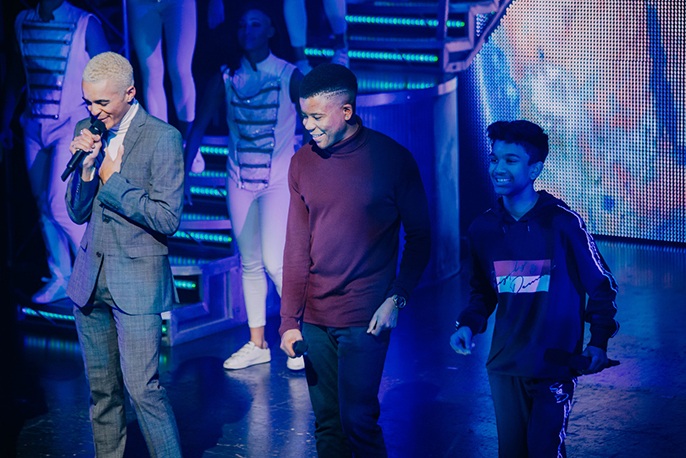 The medleys of MJ’s songs are delightful – hats off to Gary Lloyd for directing and choreographing a terrific mix of classic, swing and contemporary dance styles to a solid performance of sound led by musical director John Maher. Eliza Hart was hard to ignore, the dancer bringing fresh optimism to the stage alongside notable moves from Daniel Blessing. 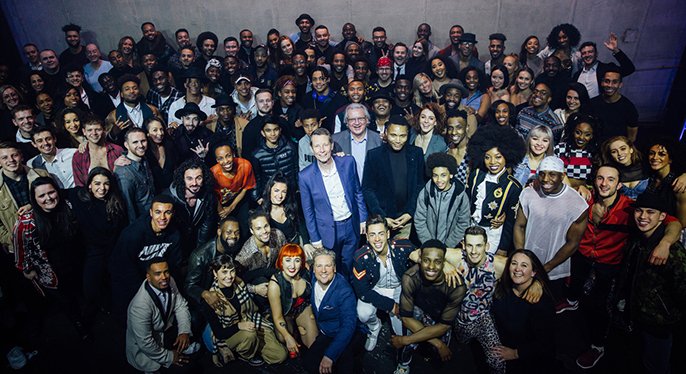 It’s clear that the stars of this show are the dancers and the singers, the collective vocal performances so close to Michael’s voice it’s unreal, particularly as one of them is a woman. John Moabi in particular gives the most striking likeness to the voice we remember. But they are only fragments of Micheal, and it’s telling that in order to get anywhere close to the master it takes four professional adult singers plus an endearing Messiah Unsudimi as young Michael from Jackson 5 days. What is missing from the show is consistency with the iconic music videos. It’s not enough for me that Remember the Time and Smooth Criminal are the only performances to satisfy this crucial omission, each staying true in terms of choreography, musicality and authenticity from Michael Jackson lead performer Florivaldo Mossi. I can’t help think it’s a shame that there are so many tribute acts, as it’s distracting and cheapens Florivaldo’s world-class performance unfairly ­– making his frankly flawless rendition of “Smooth Criminal” feel cabaret. David Julien, recognisable from The Voice, sings Dirty Diana, in a vocal performance to wow. It was only ever going to almost capture the magic. But the stand out performance vocally is Human Nature. Haydon Eshun, Vivienne Ekwulugo and John Moabi bringing something new to the harmonies and rounds that I hadn’t heard in the arrangement of the song before. 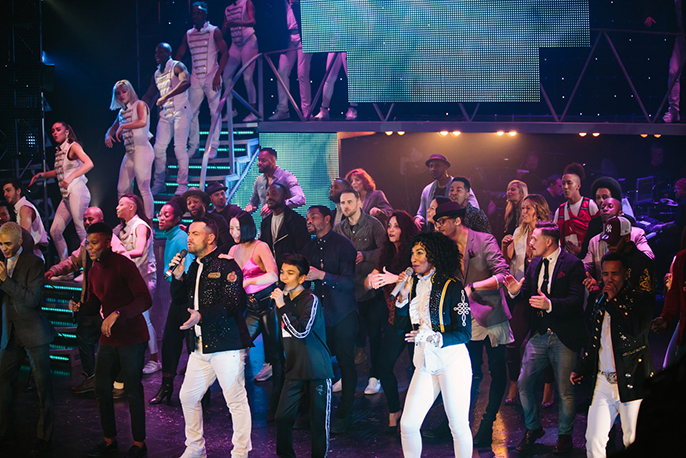 Although I do think Thriller Live blurs the lines between cabaret, karaoke and bonafide stage show, some of what I initially deemed missing does by the end seem fitting and respectful to the memory of Michael Jackson. It was only ever going to almost capture the magic. It might just make you go home and watch his videos and listen to his songs all over again, and for that, this enjoyably camp, not-quite-biographical-mashup tribute to MJ is a success.